Outside the Box: Pink and Sparkly! I got to play with one of Beccy's free images, she has quite a lot on her site as well as some beauties in her store. 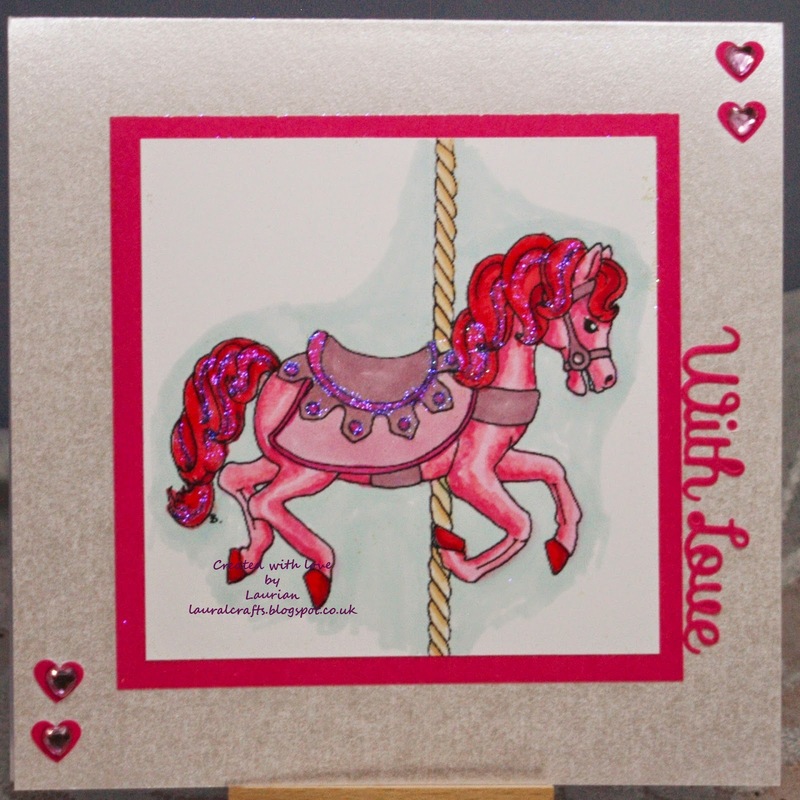 I love carousel horses and loved colouring this one! The mane and tail are really glittery as well as the edging on the saddle, shame it doesn't show up too well! I think it's quite pink and sparkly! So come on over to Digi Sketch Challenge and join us for this wonderful challenge - hope to see you there!